Finally the product launch is over and I can sort of relax...still lots to do but the stress of preparing for the launch is over!!! Here are some of the pictures that I took right after setting up for the launch. Couple of my dear friends came over to help me on the day....!!! I am so grateful that I have such lovely friends! 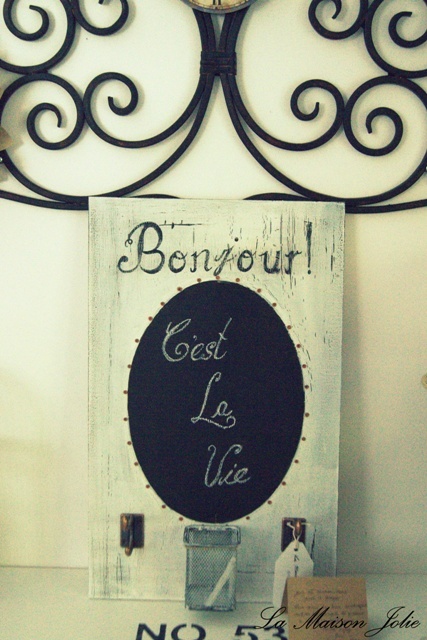 Before I knew it, my dining room was transformed into a French Provincial boutique store! We lit lots of candles and scented diffusers....played some lovely French music and chilled bottles of French champagne to set the mood for the launch!!! A guest comment book that I customised for the event. Antique coffee table with beautiful turned legs! 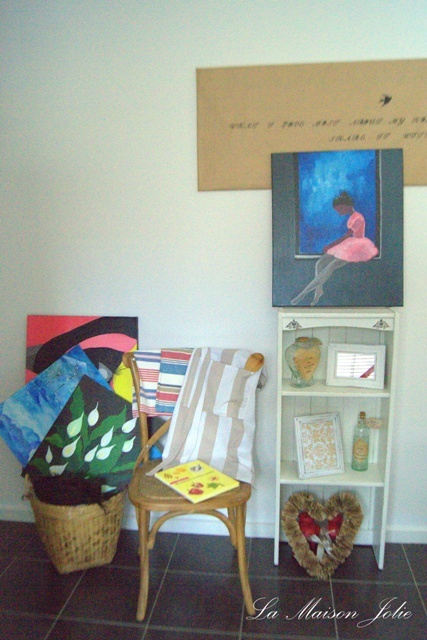 More paintings and photo frames! A keys and letters holder...so useful...SOLD! Small heart chalkboards and wall plaques- SOLD! A book on French cuisine! Such beautiful pictures!!! That's my friend...she took care of all the food for the event!!! What a trooper!!! And my other friend...who helped me set-up! Profiteroles with vanilla cream and chocolate sauce, cucumber sandwiches and French champagne for guests!!! Lots of things were sold and I got a lot of orders that I now need to fill. We had such a great time!!! In case you are interested in any of the items you see here, email me. I'll put up pictures taken during the launch soon. Also, a big thank you to all of you who left me such beautiful comments about The French Laundry coat rack!!! I loved reading them...!!!! Hope you like this post too....! Thanks so much for stopping by! Wow. How fun. Everything looked great. I wish I had been there! I shopping in head! Cute things! Love all your lovely things! Displayed to perfection. Wow, so exciting!! Everything looks stunning! !Love the idea of the comment book you created!! Everything looks amazaing! Congrats on your success! Thanks for sharing on Tout It Tuesday. Hope to see you again for tomorrow's party.